Item # 317059 Stash Points: 2,495 (?) This is the number of points you get in The Zumiez Stash for purchasing this item. Stash points are redeemable for exclusive rewards only available to Zumiez Stash members. To redeem your points check out the rewards catalog on thestash.zumiez.com. 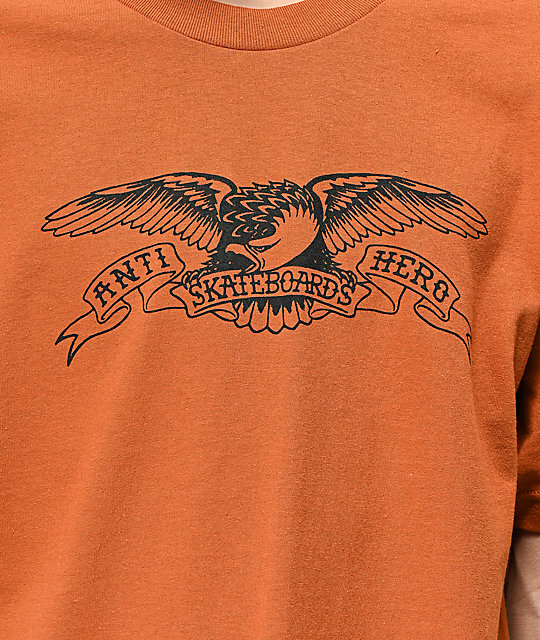 Represent one of the most iconic brands in skateboarding culture with Anti-Hero's signature Basic Eagle Rusty Orange T-Shirt. This simple, cotton constructed garment features the brand's classic "Eagle" logo graphic on the chest in contrasting black for an overall, simple two-toned colorway. 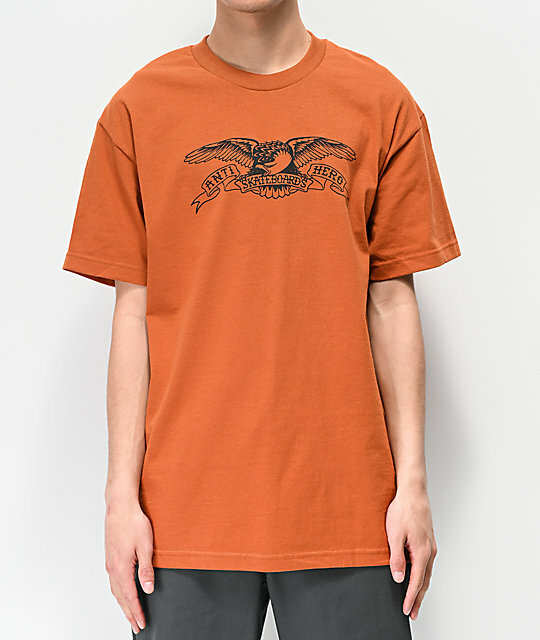 Basic Eagle Rusty Orange T-Shirt from Anti-Hero.